I am the queen of overpacking, so when something comes in a mini version, I'm all about it! 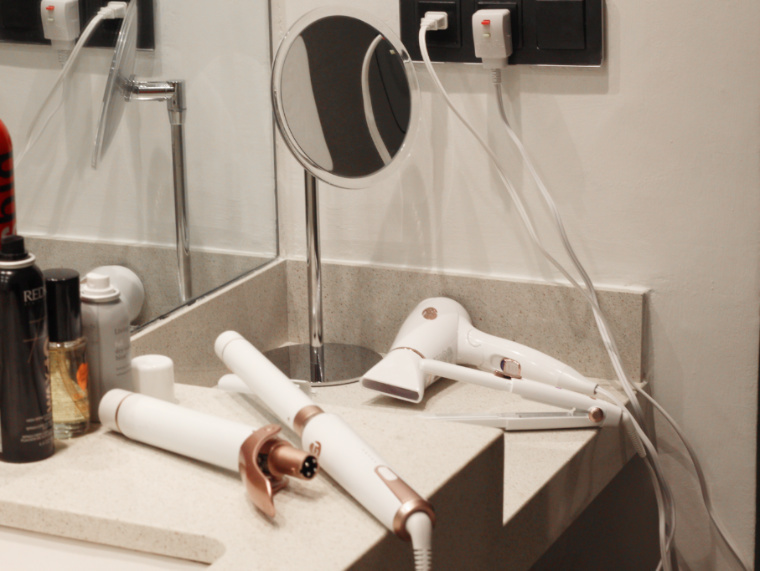 If you've been following me for a while, you know I have been using (and loving) T3 Micro products for a good year or two. They keep coming out with new products and so thankful that I get the opportunity try them out to review them for you all! 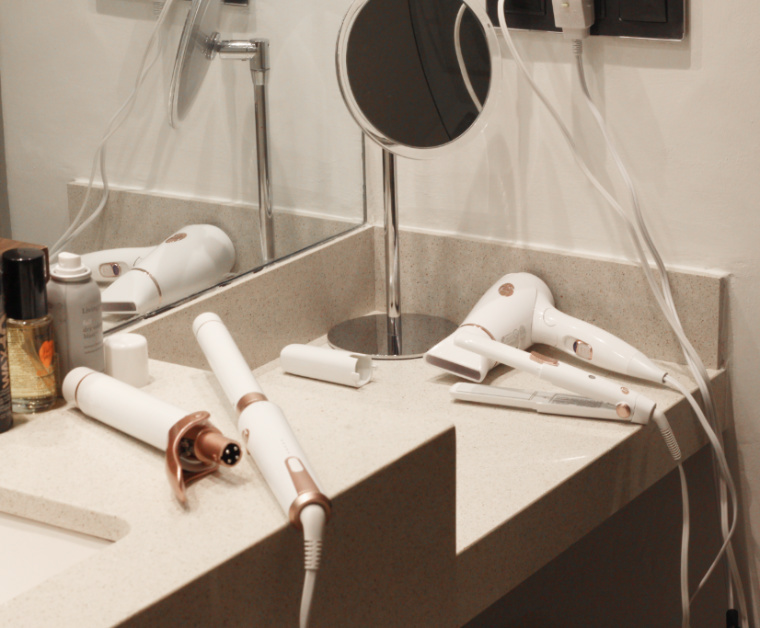 If you missed any of them, I reviewed their volumizing hot rollers in THIS post and their wands, straightener & hairdryer in THIS post. 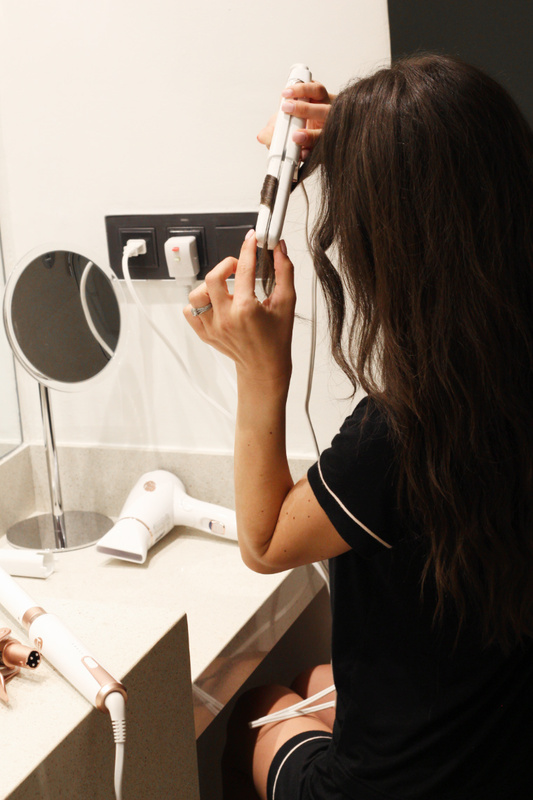 Now for this Mini Miracles hairdryer and straightener combo that I put to test on our tropical getaway to Puntacana.... To be honest, as soon as I turned on the hairdryer I was like is this a joke?! 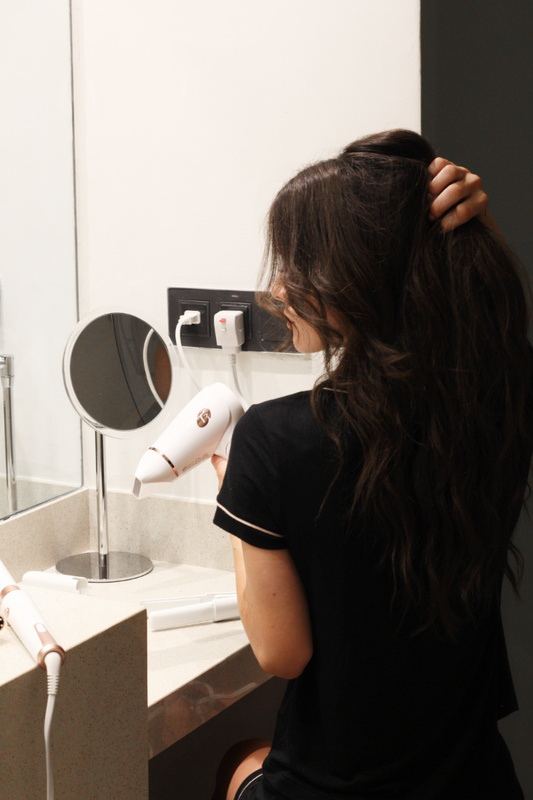 It did not sound like it gave as much power as the full size version I own, but I quickly ate my words when I finished blowdrying my hair in less than five minutes!! 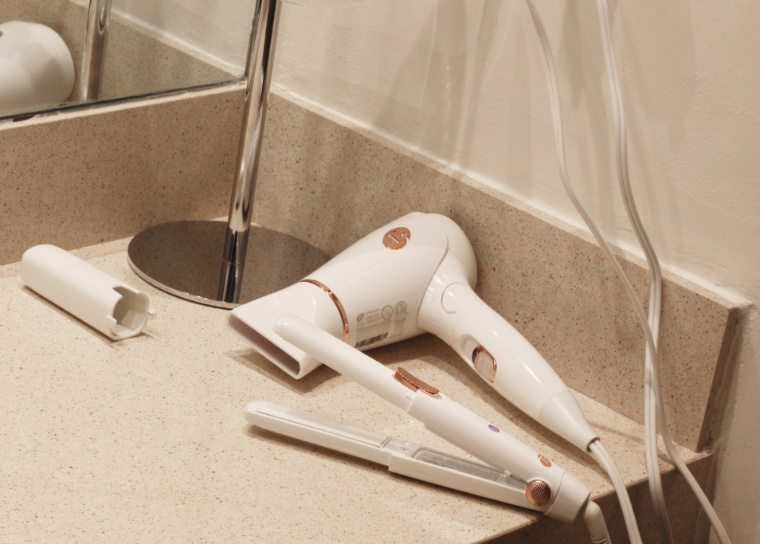 For what sounds like little blow power, it sure does dry my hair fast! 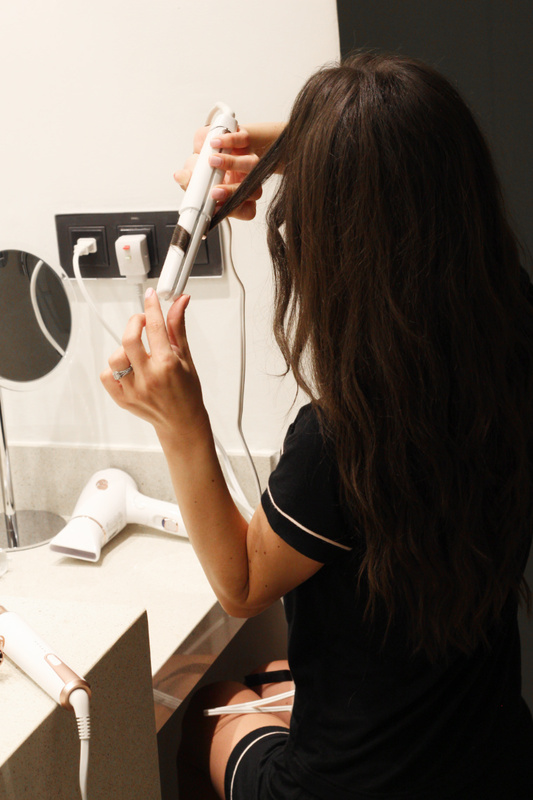 It promises to lock in moisture and get rid of frizz which came in handy when I brought it with me to Puntacana where it is super humid! Another thing I loved about it was that it came in a travel bag and folded so it was easy to fit into my already way too full luggage. To style my hair our trip with the curling wands (this one for larger waves and this one for tighter waves---ended up liking the tighter waves because even if the waves fell with the humidity, they were still pretty wavy). When I curl my hair I always straighten the area around my face to about halfway down the section. This helps my hair frame my face and also get rid of any unwanted cowlicks. 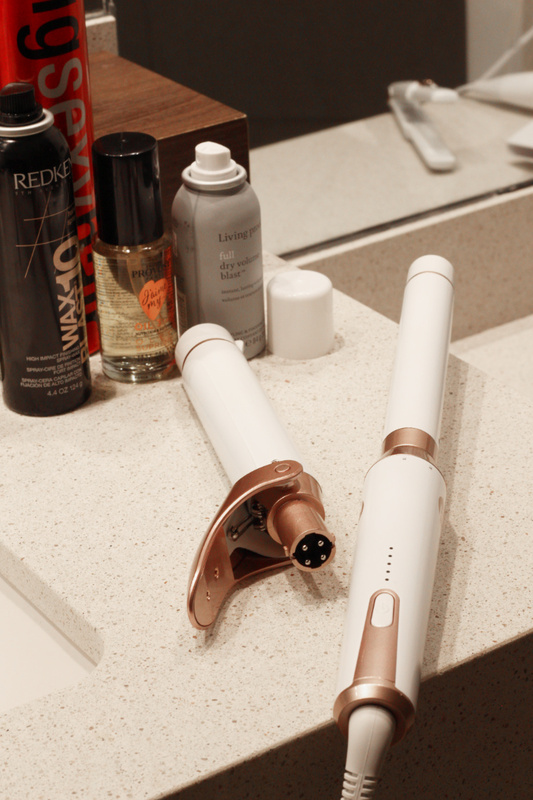 As many of you know, I also use a straightener to curl my hair sometimes so having a mini one came in handy to straighten the pieces around my face and curl a few random strands that came undone after sleeping on them. This helped keep my hair nice and wavy without having to recurl my whole head. Despite the small size, it still gave great curls like the larger size one did! 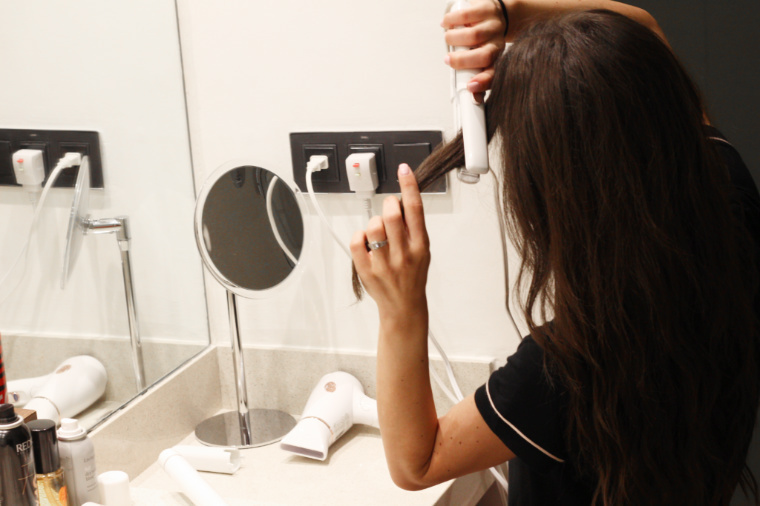 It heats up super fast, smoothes out frizz and love that it comes with a protective case so I can use it and pack it right away without waiting for it to cool off. I would love to know if any of you all tried these products & what you all thought about them! I give them a thumbs up & will be keeping them around for future travels! Hope you all have a great weekend! XO!